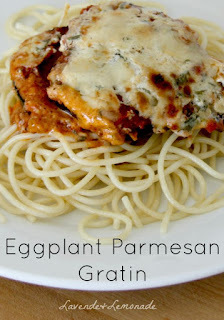 I love eggplant season! 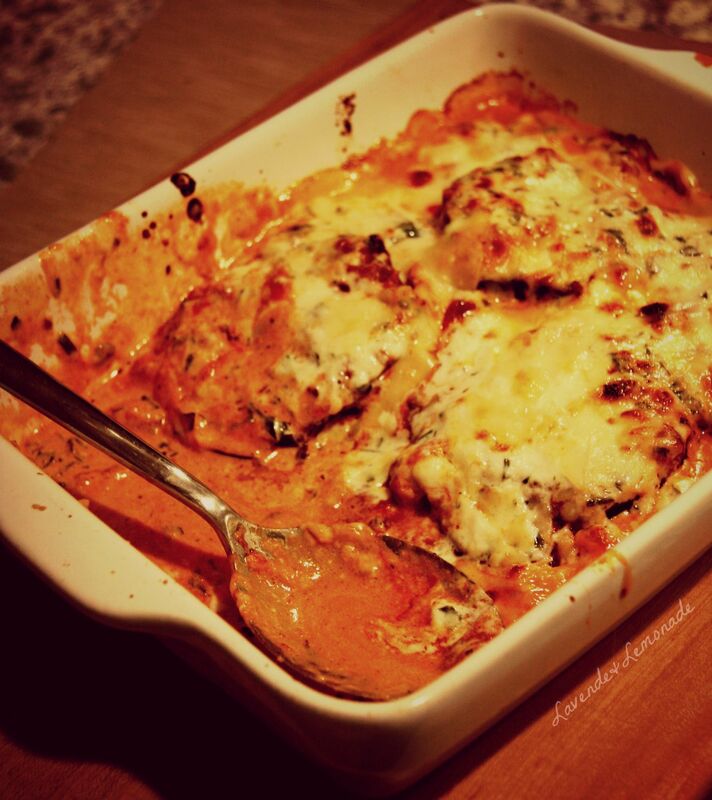 The plump purple veggies are so versatile and with a tiny bit of effort the results can be amazing. Sure, they're now available year-round, but there is something special about enjoying them during the late summer / early fall when its their time to shine. This recipe for Eggplant Parmesan Gratin is a huge favorite in our house and presents beautifully. 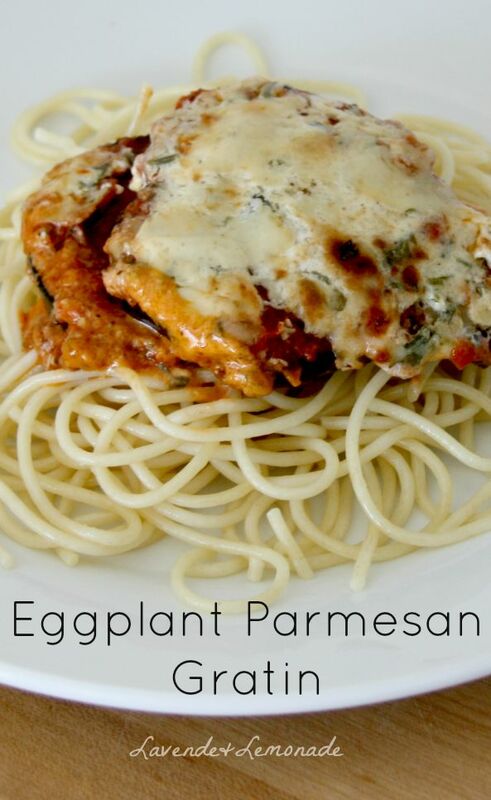 Its a hybrid between an Italian Eggplant Parmesan and a French Gratin, and is a knock-out served with spaghetti. 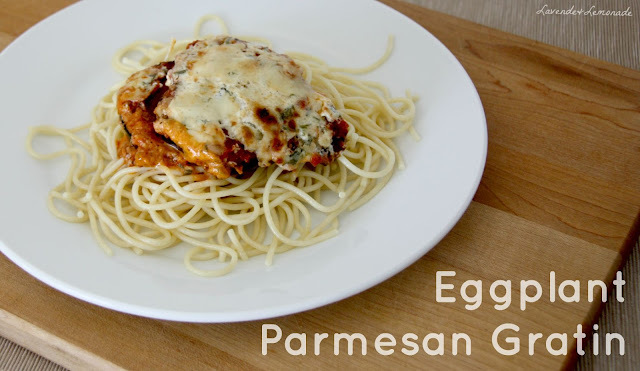 Its a great way to make a simple spaghetti dinner into a dish to entertain with. 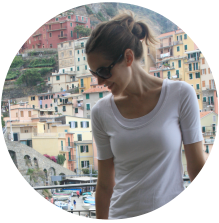 The preparation is simple, but everyone thinks it takes so much longer and is complicated! Its a fun one to make with the little ones - they love "painting" the eggplant slices and spooning in the sauce. Many thanks to Mezzetta for sponsoring today’s article! Enter to win Mezzetta's Perfect Pasta Night (including a $500 gift card!) HERE! In a small saucepan, gently simmer the cream until it has reduced by about a third - so that there is about one cup left in the pan. Slice the eggplant into slices that are about 1/2 inch thick, and use a pastry brush to "paint" both sides of the slices with olive oil. 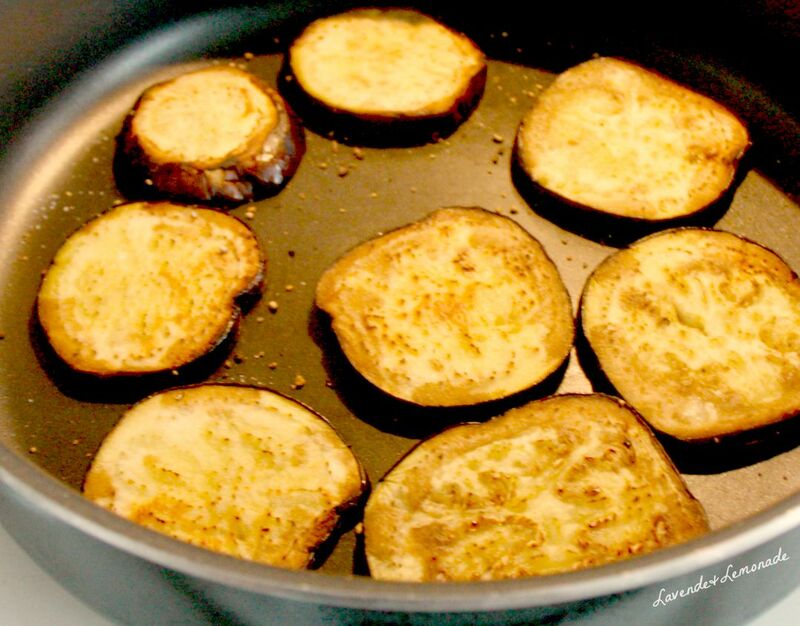 In a large pan over medium-high heat, season the eggplant with salt & pepper, and saute the eggplant slices until they're crispy golden (about 7 minutes). Then flip and do the same for the other side. Keep an eye on the cream to ensure it doesn't start to boil. 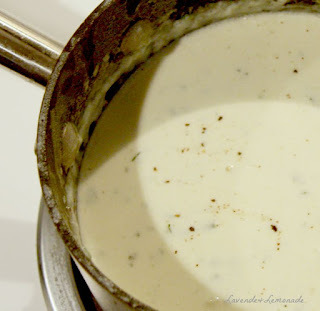 Once it has reduced, add 1/4 cup of Parmesan cheese, the chopped herbs and a bit of salt & pepper, and stir it all together. Mmm. Spread olive oil around the bottom of a small baking dish (mine is 9x11). Add one layer of eggplant along the bottom of the dish. Spoon tomato sauce on top of the eggplant slices, and sprinkle with a little of the remaining Parmesan, almost like when making a lasagna. 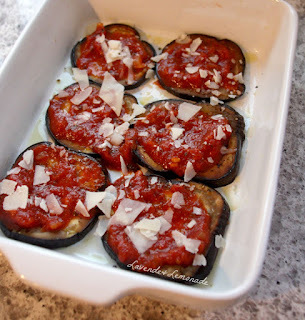 Repeat the same layering until you've used up all of the eggplant slices. 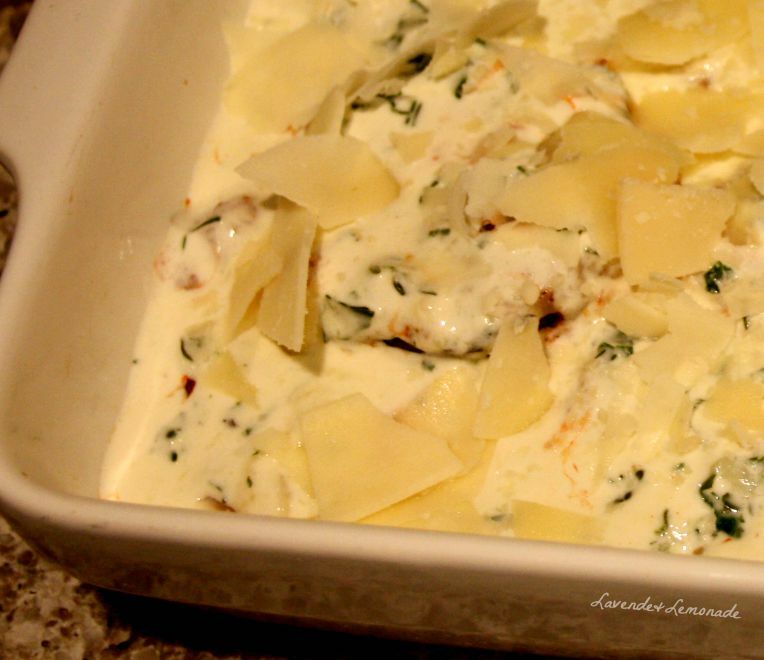 Once your last layer is topped with sauce, gently spoon the herbed cream sauce over the top and sprinkle the rest of the Parmesan on top. Bake for about 25-30 minutes, until the top is golden and the house smells amazing. I love using Mezzetta Napa Valley Homemade sauces for this recipe, because the great flavor saves so much of the effort. They do the work for me. They use 100% hand-selected plum tomatoes, don't add sugar or paste, and have established relationships with their farmers to help get the highest quality of ingredients. The Mezzetta family brought their Italian tradition to Napa Valley, CA more than 80 years ago and have been perfecting it ever since. It's time to #FallForFlavor! 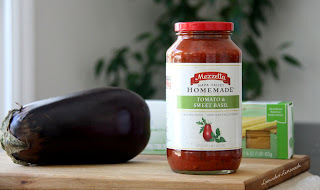 The good folks at Mezzetta are offering the chance to win a VERY Perfect Pasta Night and other prizes. Simply visit their website and follow the easy instructions. Enter the Perfect Pasta Night giveaway HERE! Many thanks to Mezzetta for sponsoring today’s story and discussion!